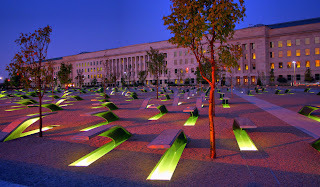 The Pentagon 9-11 Memorial at night. In the Trenches of Mommyhood. We should remember this day everyday. Yes. We all need to remember.